His eminence discussed latest developments in the political situation at local and regional levels and how it reflects on Iraq, plus institutionalization of the Reform and Reconstruction Alliance. His eminence indicated that institutionalization of the Reform and Reconstruction Alliance represents a supporting, assisting and stabilizing factor for the political process, called to make more meetings to assemble committees and the distribution and coordination of roles and tasks. 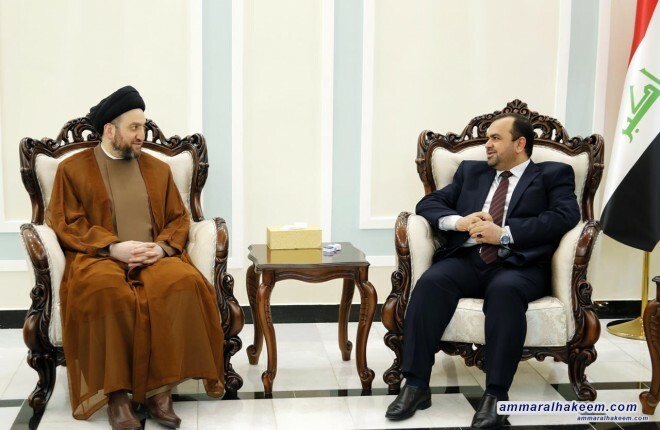 His eminence renewed his support for the government, urged for completing the government cabinet to enable the government to implement its service and development program.